Like it, snap it, share it – this is the message we’re given as consumers, encouraged to broadcast everything from the food we’re about to eat to the item of clothing we’re considering buying. In art museums, however, policies on camera usage run the gamut from outright bans to being actively encouraged. To make matters even more confusing for gallery-goers, we’re seeing some of the institutions that temporarily welcomed photography now backtracking – most recently, the Van Gogh Museum in Amsterdam. Once upon a time the matter was simpler: taking photos indoors generally required a flash and this damages light-sensitive paint, so nearly all galleries had an out-and-out ‘no cameras’ rule. Then, with the advent of digital cameras and smart phones, it became far easier to take good quality photos without a flash, thus many institutions started to relax their rules. Cue hoards of amateur paparazzi looking at the Mona Lisa on their camera screens despite being stood right in front of the actual work of art (something about this always makes me think of the chained shadow-watchers in Plato’s Cave), as Apollo’s editor Thomas Marks bemoans here. Letting cameras into the hallowed art-viewing space was always going to be controversial. 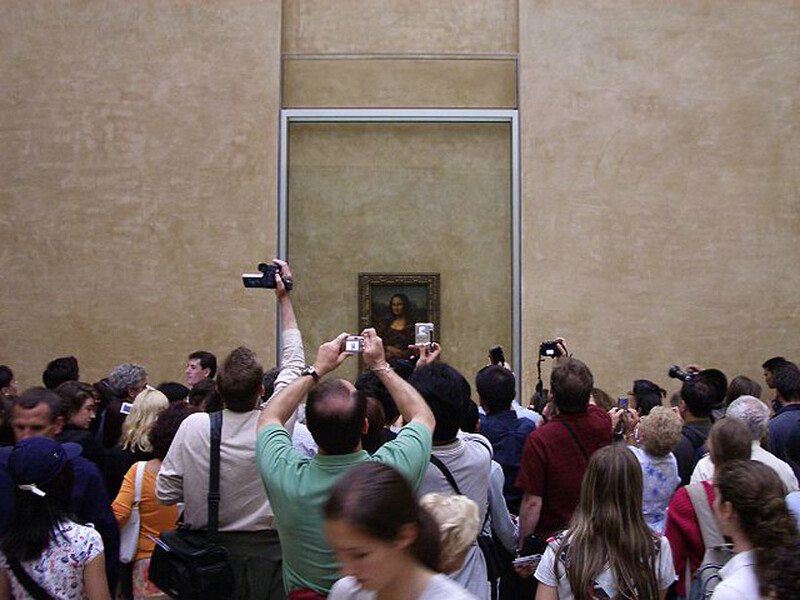 Now researchers have found that it actually detracts from individuals’ memories of a gallery visit: a recent study by Fairfield University, Connecticut found that people taking photos of works of art in a gallery remembered far less about what they had seen than those who had not. A Campbell’s soup can and a portrait of Marilyn Monroe are, of course, textbook Andy Warhol. But a collection of works newly recovered from his archive show his iconic subjects as we’ve never seen them before – as computer-generated sketches made by the artist on a 1980s Amiga computer. Commodore International commissioned Warhol to demonstrate the graphic art capabilities of its Amiga 1000 computer model in 1985. The files had been trapped on Amiga floppy disks since entering The Warhol Museum’s collection in 1994 due to their obsolete format.